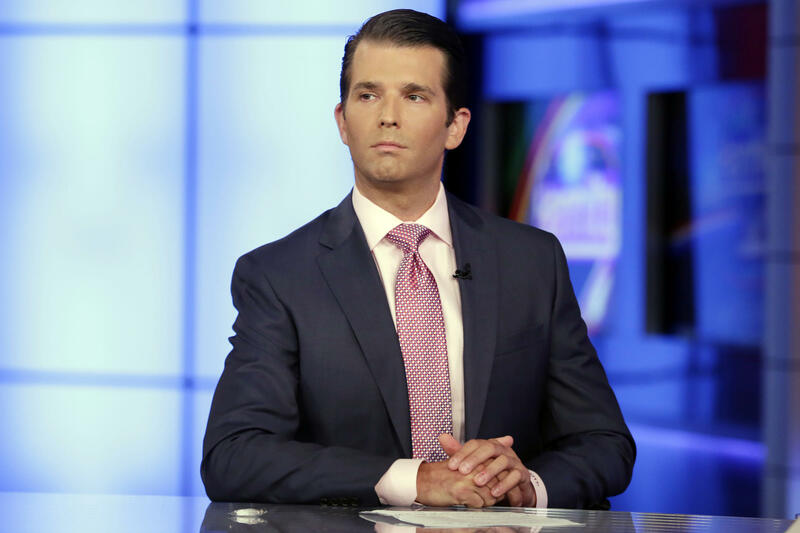 Donald Trump Jr. is interviewed by host Sean Hannity on the Fox News Channel television program the day he posted a series of email messages to Twitter showing him accepting help from what was described to him as a Russian government effort to aid his father's campaign with damaging information about Hillary Clinton. The words jumped out because NPR until this point has been studiously avoiding using the word "lie" to characterize the statements of President Trump and some of his associates "when they are at odds with evidence to the contrary," as NPR's Two-Way blog put it. I wrote about the pros and cons of the policy in a January column, after NPR heard from hundreds of listeners and readers who were unhappy about NPR's reticence. Folkenflik told me he cleared the use of the word with editors in advance. Mark Memmott, NPR's standards and practices editor, said the policy on use of the word has not changed. "As we have said before, the word was never banned. It just needs to be used appropriately," he said in an email. In this case, Memmott wrote, "We applied our thinking from before. If there is clear evidence that a person knows something to be untrue, then intent is no longer an issue," adding, the emails released by Donald Trump Jr. "make it hard to argue that he could have believed some of the things he later said were true," a point Folkenflik also made on Here and Now. NPR listeners and readers who questioned just when NPR would find it appropriate to use the word now have an answer — supporting documents could be one important factor.